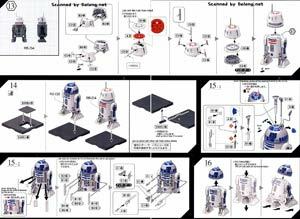 From the Star Wars franchise comes the lovable R2-D2 and R5-D4 astromech droids that were released as a 1/12 scale model kit by Bandai. 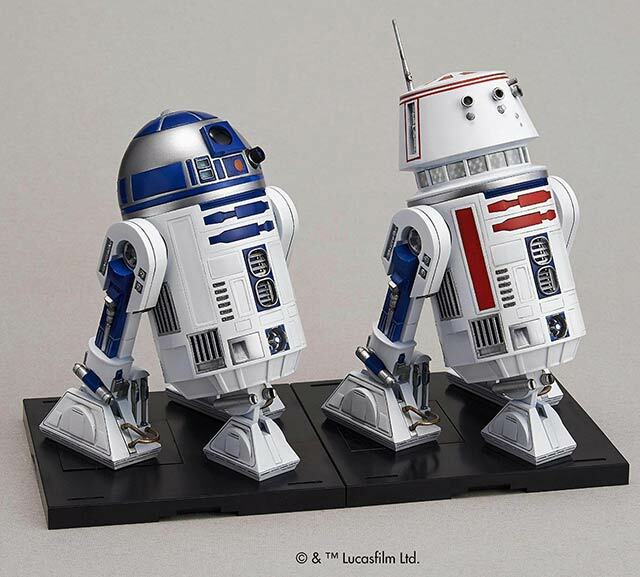 I kinda love the recent Star Wars releases by Bandai because they always seem to do a great job in bringing these classic characters and ships to model form. Then again, what else can you expect from Bandai?, but always the best. 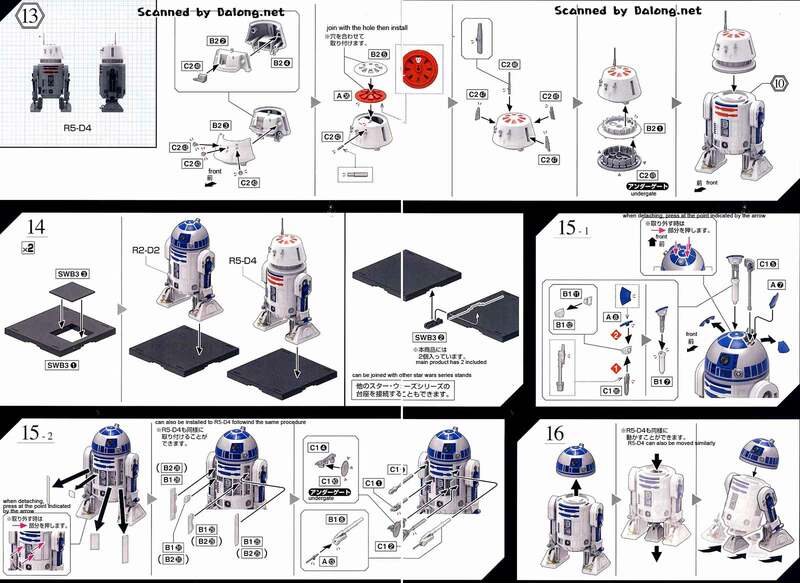 The 1/12 R2-D2 & R5-D4 by Bandai is selling for $$ at Amazon. 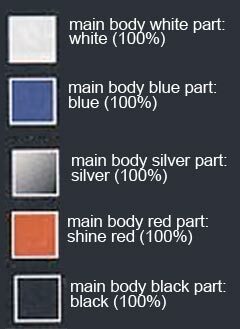 Construction Manual & Color Guide for the 1/12 was translated to English from the Japanese manual posted at Dalong's Gunpla & Model Kit Review site.